In 1849, a chemist called Molinard Jeune perfected the creation of floral waters which he made in his Grasse laboratory and sold from a small shop in the centre of town. His reputation steadily grew and by the turn of the twentieth century, Molinard had grown into one of the town's biggest producers. A new factory was designed for Molinard by Gustave Eiffel, creator of the Eiffel Tower, which is still a part of the museum and showroom complex used by Molinard to this day. In 1925 Molinard perfected a new process, reducing the genuine wax of flowers to a solid, concentrated form called a concrete. It was the first solid pefume and it could be used directly: a touch behind the ear or the lining of one's coat. 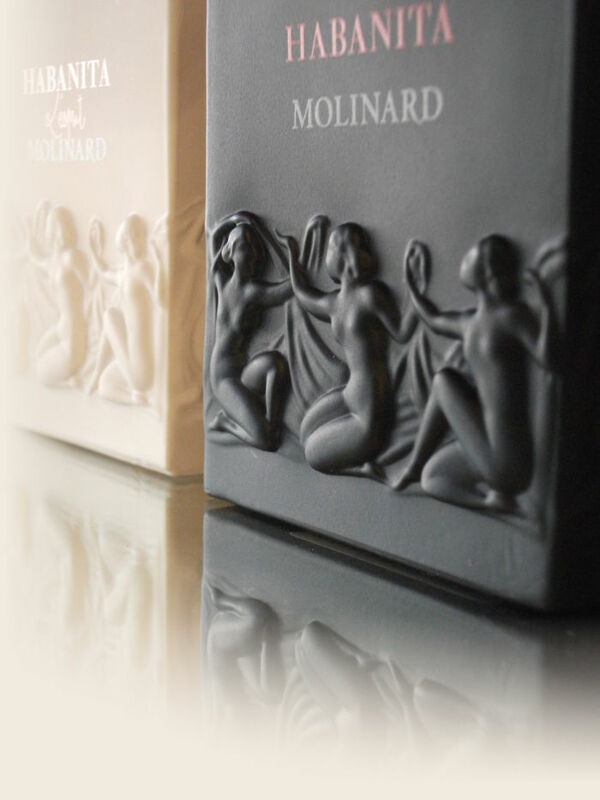 The production process is held under patent by Molinard. With this new fragrance, Célia Lerouge-Bénard, fifth generation of the family to head the House of Molinard, puts her name to this, her first perfume, in collaboration with her sister Charlotte.